History of Islamic Egypt during The Tulunids and Ekhshidits, The Fatimid Caliphs & The Ayyubids. Salah el Din rule and Mamluks state in Egypt. Mahmudeya mosque at the bottom of the Citadel. Inside ancient Nilometer, Roda island. Wall of ancient Cairo city. Fountain or sabil inside the mosque of Mohammed Ali. After the period of pharaohs the Persians replaced the country about 340 years before Christ. But the Persians were themselves overthrown by Alexander the great, who conquered Egypt about 332 B.C. The Ptolemy's ruled the country from this time till 27 B.C. when Augustus replaced Egypt after defeated Cleopatra and Mark Antonio in Acteum, finally the mighty Romans. But with the crumbling of the Roman empire, the Byzantine arose which ruled until the Arab Islamic wave spread over the region. The Arab leader Amr Ibn Al Aas conquered Egypt in 641 A.D., and end the Byzantine ruling of Egypt. From that date Egypt became an Islamic province ruled by deputy of Caliph. He build the 1st Mosque, established new city and gave it the named of Al Fustat (tent). The founder of this dynasty Ahmed Ibn Tulun has Turkish origin. He became a leader in Abbasids army, then came to Egypt and was appointed as a deputy of Al Mostaaen Abbasid Caliph. He also established a new city ( Al Qataii ) and built one more Mosque. He made Egypt independent from Abbasid Caliph. The founder of this dynasty is Mohamed Ibn Taghg Al Ekhshidi, he also made Egypt independent from the Abbasid Caliph. Egypt under the rule of his son and successor became very powerful and wealthy. The main event at this time was the legendary wedding party of his daughter Qater El Nada and Caliph's son. The Fatimids are a Shi'a dynasty originating from North Africa that ruled Egypt from 969 till 1171 A.D. Faithful followers of Caliph Ali, the fourth "Rightly Guided Caliph" in Islam, Fatimids rivaled the Abbasid dynasty to rule the Islamic world, by claiming their rightful legacy to the Caliphate based on their direct descent from the Prophet Muhammad. 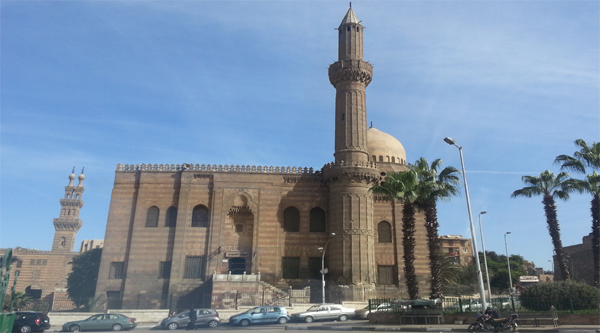 The Fatimids first action was to lay the foundation of a new fortified royal city al-Qahira (Cairo ). The last Fatimidian Caliph was only eighteen when the Seljuks captured Cairo. The Seljuks who came originally form Central Asia had already conquered Syria and Palestine and established their Capital in Damascus. By 1168, Egypt had become a battle ground between the Seljuks and the Crusaders, with the Fatimids having virtually little or no control, although they sided mostly with the Crusaders. It was in 1168 when the victorious Shirkoh entered Cairo and was named governor of Egypt by the Sultan of Damascus, Noor-el-Din. When he died a year later, his nephew was immediately appointed as the next governor. He was young - in his early thirties - and full of will. Quickly he became one of the most famous figures in Medieval history. His name was Salah-el-Din the Ayyubid, better known in Western history as Saladin. The young general is one of the few commanders in history who are tremendously respected by their friends and enemies alike. When he took control over Cairo, the Fatimids remained isolated in their palaces. Saladin did not seek revenge, but rather waited until their Caliph died. Then he expelled the Fatimids out of their palaces and sent them to exile. Unlike his successors, the young general did not seize the Fatimid's wealth, nor did he occupy their palaces. Like a caring ruler, he opened the gates of Cairo and allowed Egyptian citizens to live within the city walls in areas which had been exclusively occupied by Fatimid royalty. Because of his sincerity and kindness, he became popular among Egyptian citizens - Moslems and Christians alike - and even had a Jewish personal doctor And when he later fought Richard the Lion-heart, legend goes that Saladin ordered his horsemen to carry ice down the mountain to comfort the British King when he was sick. In Cairo Saladin not only built mosques and palaces (in fact he did not build a palace for himself), but also colleges, hospitals and a fortress, the Citadel, which still remains one of Cairo's landmarks to this day. Unfortunately, it is to be taken against him and his successors that they used some of the Pyramids stones to meet the excessive need for building materials in the growing city. The Citadel was built on a elevated spot near the the Muqattam Hills, and occupies a strategic spot from which you can, to this day, have a panoramic view of Cairo. New city walls were also erected outside the Fatimid walls to defend Cairo from enemy raids. n 1182, Saladin marched to Palestine and Syria and never returned to Cairo. For the next 10 years, he fought the Crusaders and managed to end their presence in the region, at least temporarily. When he died in Damascus in 1193, he had almost no personal possessions, but he earned himself a remarkable place in history. He was succeeded in Egypt by his brother Al-Adel who had to deal with an infamous famine and plague. Al-Adel was in turn succeeded by his son, Al-Kamel who befriend Frederick II, and was even knighted in 1192 by Richard the Lionheart. The Ayyubids (Saladin's house) rule came to an end when Al-Kamel's nephew, Al-Saleh, died in 1250. The short rule of his wife, Shagaret-el-Dorr, marked the beginning of a new era, when the slaves known as the Mamelouks ruled Egypt. The Ayyubids were succeeded by the two consecutive Mamluk reigns. A succession of strong Mamluk sultans, originally Mamluk slaves based on barracks in Rhoda Island and hence named Bahri (Arabic for river), who took over control of Egypt and Syria from 1250 to 1382 A.D. Their reign was characterized by relative stability and prosperity on the internal arena and powerful military control on the external level defeating enemy threats. The turbulent Circassian Mamluk regime that took over the Bahri Mamluks from 1382 to 1517 A.D. was also known as Burgi Mamluk since they were based in the towers (Burg) of the Citadel. The reign was characterized by epidemic outbreaks, heavy taxation to make up for the decline in revenues that followed the discovery of a new trade route to India.